Be the first to share your favorite memory, photo or story of Diane. This memorial page is dedicated for family, friends and future generations to celebrate the life of their loved one. Diane Marie Wauters, 53, of Des Moines, passed away Saturday, March 23rd, at Mercy Medical Center, surrounded by her beloved family and dearest friends. Diane was born to Louis Wauters and Yolanda Timm in Grinnell, Iowa on July 6th, 1965. She was raised in Brooklyn, Iowa spending much of her childhood on the family farm. She attended Brooklyn-Guernsey-Malcom schools until relocating to Cedar Rapids, where she graduated High School in 1984. Diane loved to tell stories and spark laughter. 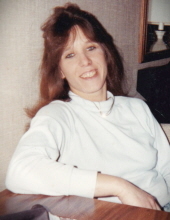 She enjoyed traveling and wanted everyone to live vicariously through the memories she shared going to Canada with her brothers Danny and Duane. She was always full of surprises; even surprising herself with two sets of twins. Diane's greatest adoration were her children; Danielle and Nicole, David and Diana. Diane enjoyed motherhood alongside her sister Denise, and Denise's children, Alisha and Brian. She raised her young children with John Burnell in Grinnell, often visiting rural Eddyville. She was always out for a good adventure skating on the pond, or freezing in the water she was supposed to be fishing in. Her children remember many long weeks spent exploring new libraries and water parks. She loved taking her children to feed the ducks at Lake Nyanza over the summers. She loved reminiscing about “Dad's family trips” to the Rocky Mountains with her oldest set of twins, and brother Duane. Diane was so proud to watch her children compete in sports. In more recent years, watching her son David and brother Don at the figure 8 races became a favorite pastime. Diane is preceded in death by her loving parents, Louis and Yolanda, her darling sister Denise Andre Wauters, her step-father Robert Timm and her aunt Jean Riha, and John Burnell. She is survived by her three brothers; Donald (Shelley) Wauters of Altoona, Duane Wauters of Des Moines, and Daniel Wauters of Des Moines. Her children, Danielle Wauters of Windsor Heights, Nicole (Yancey) Granillo also of Windsor Heights, David Burnell of Pleasant Hill, and Diana Kuehl of Ankeny. Her grandchildren; Landon, Brayden, Nolan, Dayton, and Yancey. Four nieces and three nephews. Along with many loved aunts, uncles and cousins. She was a beautiful soul and her stories will be missed dearly. A graveside memorial will be held at Calvary Cemetery in Brooklyn, Iowa at 2:00pm on Sunday, March 31, 2019. There will be a Celebration of Life following at 4:00pm at the Grinnell Christian Church in Grinnell, Iowa. To send flowers or a remembrance gift to the family of Diane Wauters, please visit our Tribute Store. "Email Address" would like to share the life celebration of Diane Wauters. Click on the "link" to go to share a favorite memory or leave a condolence message for the family.